Them Crooked Vultures are a bona fide supergroup. Consisting of Josh Homme (Queens of the Stone Age), Dave Grohl (Nirvana and Foo Fighters), and John Paul Jones (Led Zeppelin), they form a formidable lineup of rock’s elder statesmen both past and present. Despite the impressive breadth of the band’s talent, however, it is Homme who controls the group. Dominated by aggressive and fast-paced hard rock, the band’s self-titled debut feels very much like a continuation of Homme’s prolific career, and that is precisely why it is such a triumph. Any thought that the trio would continue to dabble in acoustic collaborations is very quickly disproved on the band’s debut. Opener “No One Loves Me & Neither Do I” sees its guitars set about slowly and heavily crushing what melody there is. Proceeding at a restrained pace for a while before shifting into an incredible stomp for its final two minutes, the unrelenting assault of the opener proves that TCV have no intention of making shiny guitar rock like Foo Fighters or the classic heavy metal of Led Zeppelin. This is very much QOTSA-style, furiously aggressive hard rock. The aggression of TCV’s music does not mean that the album lacks its accessible moments. The album front-loads its two catchiest songs immediately after the opener. “Mind Eraser, No Chaser” features vocals by both Grohl and Homme, although this serves only to reiterate the superiority of the latter. 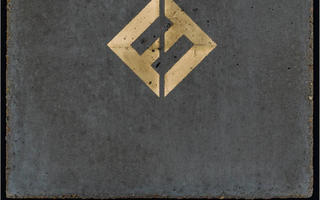 Grohl’s over-enthusiastic and humorless singing pales by comparison with Homme’s sophisticated sneer, and fortunately most of the album sees Grohl consigned to his natural place, behind the drum kit, providing successfully muscular, if surpisingly understated, beats. The other clear choice for a single, “New Fang,” tells a typical rock story of youthful indulgence and masculine indiscretions—“Sometimes you break a finger on the other hand / Think you got me confused for a better man.” Set to a relatively jaunty riff, the song shows the album is willing to compromise a little in the way of accessibility while still retaining its hard rock edge. Aside from these highlights, the quality of most of the songs is consistent, even if they are less essential. Late album cuts like “Caligulove” and especially the danceable “Gunman” successfully channel the album’s aggressive spirit into well-crafted tracks. However, the album’s biggest weakness is the band’s tendency towards indulging themselves a little too much. Containing three songs close to or longer than seven minutes, and at over an hour of consistently hard and loud rock music, the album can get a little tiring. The appropriately titled “Interlude with Ludes” is a particularly wasteful use of four minutes, while closer “Spinning in Daffodils” is over-extended after its beautiful piano intro by Jones. Like Grohl’s drumming, Jones’s bass contributions are not highlighted and he seems a little overshadowed by his illustrious bandmates. Despite these issues, “Them Crooked Vultures” is an undoubtedly successful debut for the supergroup. In fact, this is the most essential any of the three members have sounded in years. With Jones restored to prominence thirty years after his career high, Grohl returning to the hard rock his drumming talents are suited for rather than the classic rock sheen of Foo Fighters, and Homme freed from the pressure and expectations of Queens of the Stone Age, it sounds like all three are truly enjoying themselves. While it is Homme’s influence that dominates the record, what really sticks in the mind is how brilliant an idea TCV is, and how all three members—and their fans—would benefit from them making more records very much like this one. Even geniuses can lose their knack. Iggy Pop's newest album, “Post Pop Depression,” sounds like a forced innovation and fails to impress.